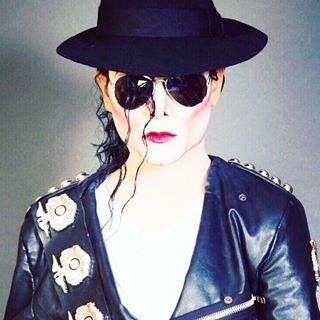 Danny Dash Andrews has performed nationally as a Michael Jackson tribute artist opening for Bill Cosby at Washington State University in Pullman, Washington and was featured in the San Antonio’s 2012 Texas Cavaliers River Parade. Andrews also audition for ‘Americas Got Talent’ season 8 and has appeared on ‘Living SA’ and ‘Telemundo’. Since the tragic death of Michael Jackson, Danny Dash Andrews has gained respect, captivating audiences and capturing imaginations with his outstanding MJ performances. Andrews has quickly became one of Americas top requested Michael Jackson impersonators. Recently Andrews has toured in Washington, Missouri, Oklahoma, Chicago, North Carolina, New York, California, and Texas. Andrews has touched the hearts of millions with his incomparable illusion of Michael Jackson. Andrews rendition of Michael Jackson is unbelievably electrify and phenomenally thrilling! Andrews Michael Jackson Live Tribute performance will keep you at the edge of your seat and will keep you wanting more. His incredible talent matched with his seemingly effortless moves which mirror those of the King of Pop will leave you with an amazing show like no other. Andrews is available to make your event unforgettable. Michael Jackson is available for your next party, conference, wedding, in your next tour, or even for a great show at home with the family. Michael Jackson is available for a limited time.